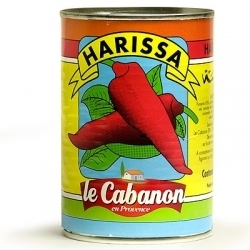 Inherited from northern African culture, Harissa is a “must have” to cook any Moroccan or Tunisian meal such as couscous. Hot chili 68%, tomato puree 20%, onions, salt, modified potato starch, coriander, garlic, caraway, colza oil, acidifier: citric acid. Used as a black pepper, it seasons and personalizes your meals, thanks to its prestigious taste.